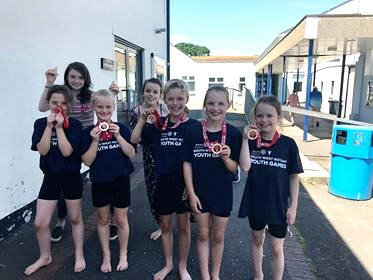 Okehampton gymnasts, representing West Devon, won team gold at the South West Rotary Youth Games in Dawlish in July. This is the third year running that Okehampton gymnasts have won the event. The team was coached by Vicki Pritchard and supervised by Courtenay Bolt on the day. Congratulations to Faye Hooper, Matthew Watts, Charlotte Pickbourne, Ruby Wyatt and Freya Cavalier-White for their hard work in preparing for the event, and for delivering such quality performances.